- The puck is dumped into the corner. Winger with puck turns to skate down ice with puck. 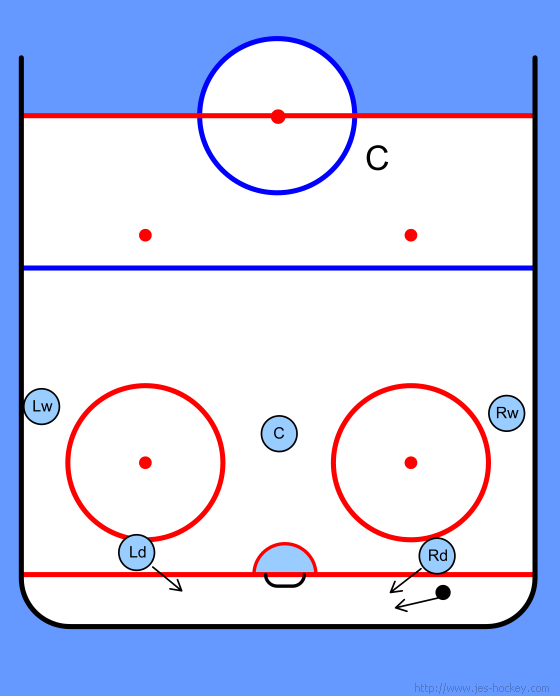 Puck side defense moves to high slot. Center and far winger start to breakout. 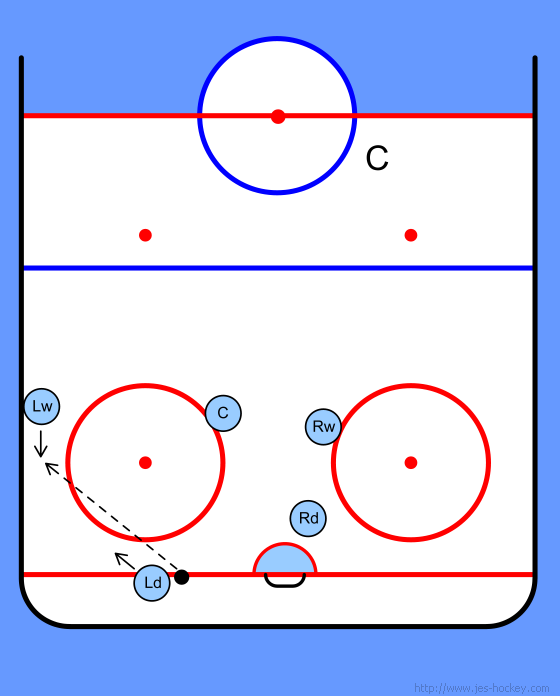 Winger passes to center moving down ice for attack.